Learn from my story. When using eBay (or anything else for that matter) to make money, make sure you understand the impact that use of time will have on your business success. Two years ago I started up a business buying and selling CDs. Although I did hit garage sales and auctions to pick up merchandise, I got most of my inventory from several online retailers that sold CDs in large block lots. I would then resell those discs on eBay - essentially using eBay to make money from my great finds. Note that I'm using the past tense to describe my internet foray. Hopefully my story can help others identify the same obstacles I faced and overcome them where I could not. On a bookkeeping basis, my margins averaged 40%: for every dollar of income, I took 40 cents in as profit. So, my problem wasn't a problem of turning a profit. No, my problem centered on the scalability of the business and the time commitment required to make it successful. When you're running your own business, one key is to learn how to operate efficiently with your time. Only certain activities actually make you money - in my case, it was listing CD auctions. The time I spent unpacking merchandise, testing for skips or damage, packaging items for shipment and taking things to the post office or UPS was not value-added. After all I could hardly sell CDs online without shipping them. But...in a larger sense, every minute spent mailing a disk was a minute that I wasn't spending listing another disk. I tried to become more efficient with some technology applications. 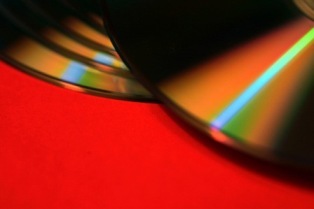 *I started using software to quickly scan CDs for skips and scratches. All of these investments helped me maximize the time I was able to spend selling and minimize everything else. I was able to double, then double again the amount of CDs I was listing and selling. However, the cost of the investments required me to continue to expand the scale of my business to compensate. Using eBay to make money selling CDs meant that I had to make a decision. In time, I reached a decision point: I would have to either hire additional help or wind the business down. I opted to refocus on my other job and shut down my internet operation. To summarize, if you want to be successful as an entrepreneur always keep the customer in mind first. The customer doesn't care how you test the quality of your product or how you package and ship your merchandise or how you prepare your service. They simply want a high quality, reliable and functional end result. Want the insider's scoop on what it really takes to make money on eBay? Click Here To Get Insider's EBay Selling Advice From The Top 14 Powersellers On eBay!